Because that’s what I did. 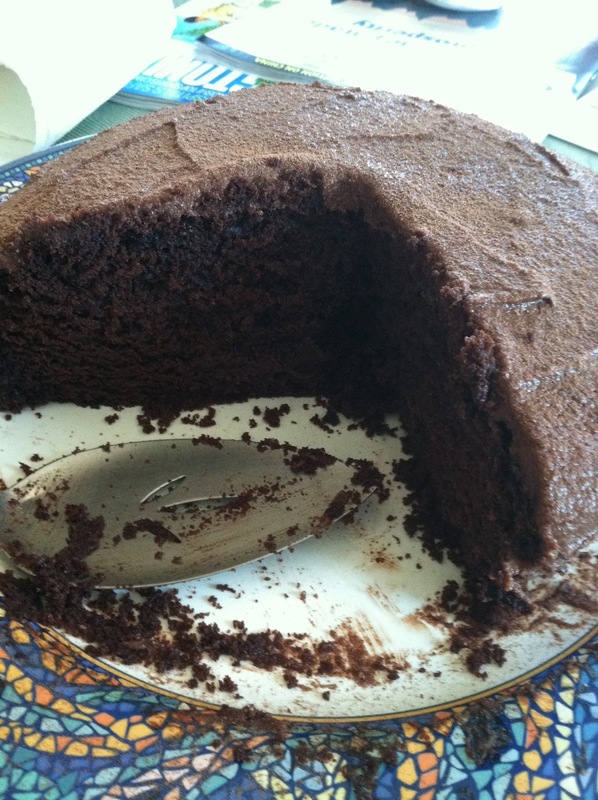 But it could also be called “the best chocolate cake ever.” Because it’s true. I made this cake because a few months ago, two of my friends happened to have their birthdays on the same day. They also happen to be father and daughter. They also happened to be coming over to visit the Bread Maiden household that VERY DAY! Of course I just had to make a cake, right? Stop reading right here if you love overly-sweet cakes where the sugar literally hurts your teeth, or where the cake itself is merely a vehicle for the frosting. This is not that cake. This is a CHOCOLATE cake, with lots of real chocolate. Because it’s not crazy-sweet, it pairs nicely with any frosting you like. 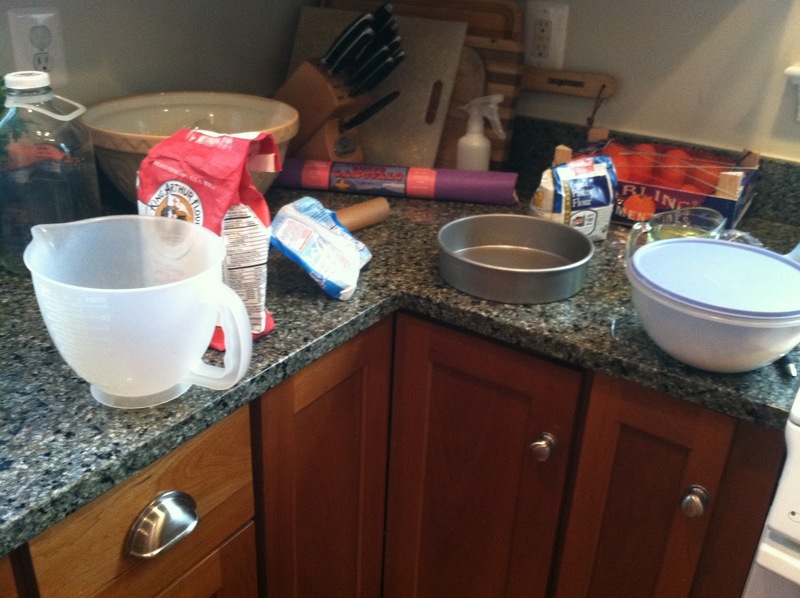 And thus, being forewarned, we proceed forth to make Alton Brown’s Devil’s Food Cake. The original recipe is here. Oh, you say you don’t have sour cream? I also didn’t, but had some crema, which is a condiment popular in some Latin American countries that I had bought to use in tacos. 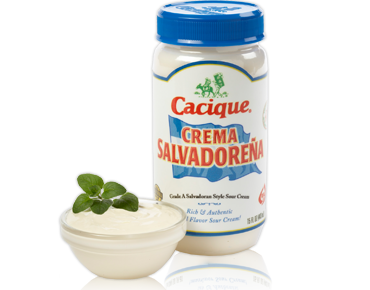 According to wikipedia, crema is cream that has been “soured” with bacteria. I figured it was close enough to the sour cream indicated in the recipe, since it has the same texture, nearly the same fat content, and similar acidity and “zip” as sour cream. In it went. If you want to use regular (whole fat) milk or cream instead, make sure to throw in a tablespoon of white vinegar and wait an hour for it to thicken it up. 1. Preheat the oven to 325 degrees F. Spray a 9′ round pan with olive oil or nonstick spray. Now is the fun part. Tear off a piece of parchment and place the pan on top of the parchment. Trace around the pan and cut it out. Now you have a perfect circle of parchment to line the bottom of your cake pan. Now grease up the parchment paper as well. Set aside. 3. 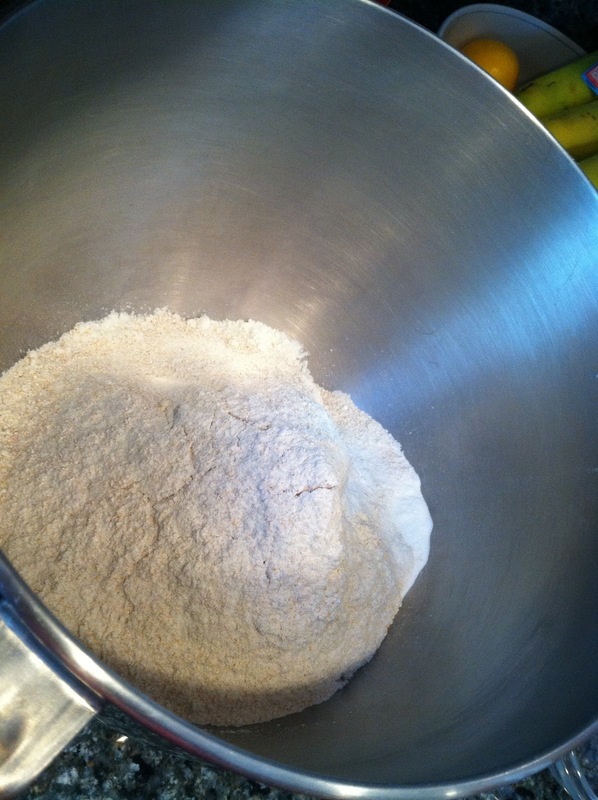 Combine the sugar, flours, baking soda and salt in the bowl of a stand mixer fitted with the paddle attachment. 4. 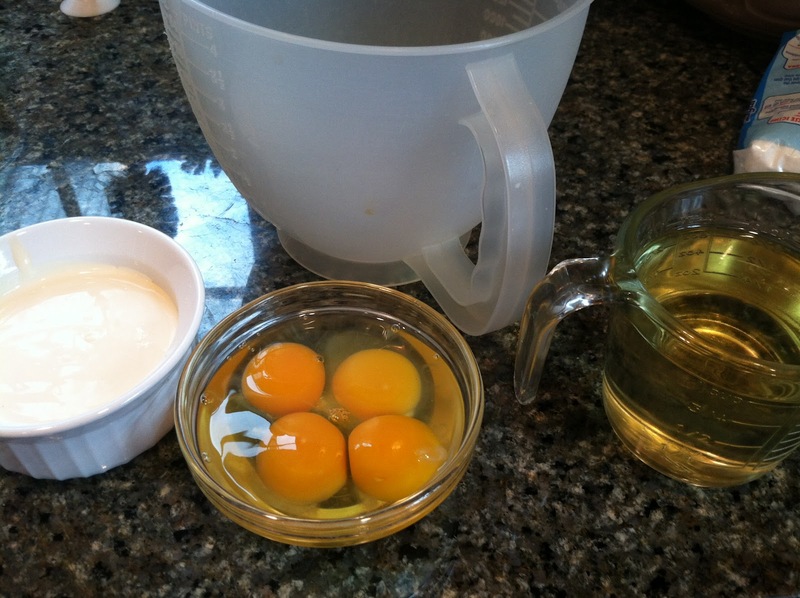 Whisk the oil, sour cream (or what have you), eggs and egg yolks together in a pourable vessel, like a measuring cup. 5. 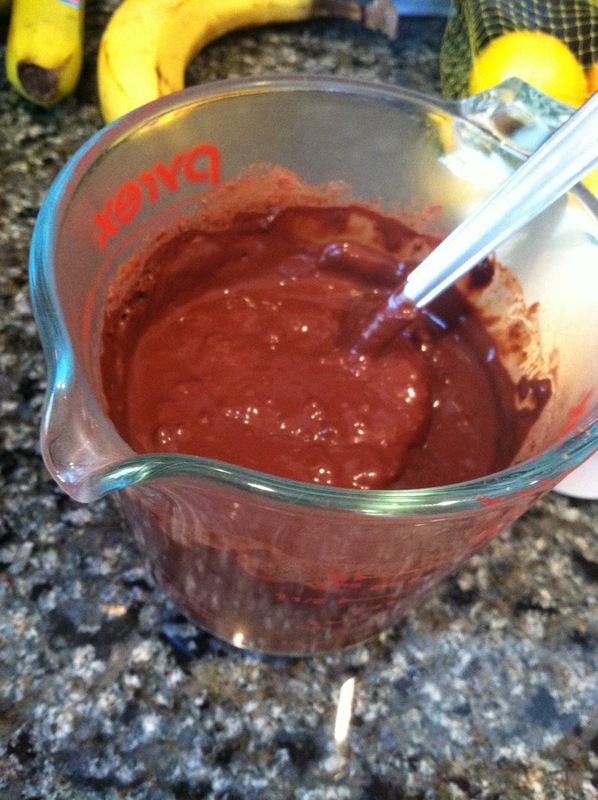 Add the oil mixture to the cocoa and water mixture and slowly whisk to combine. 6. 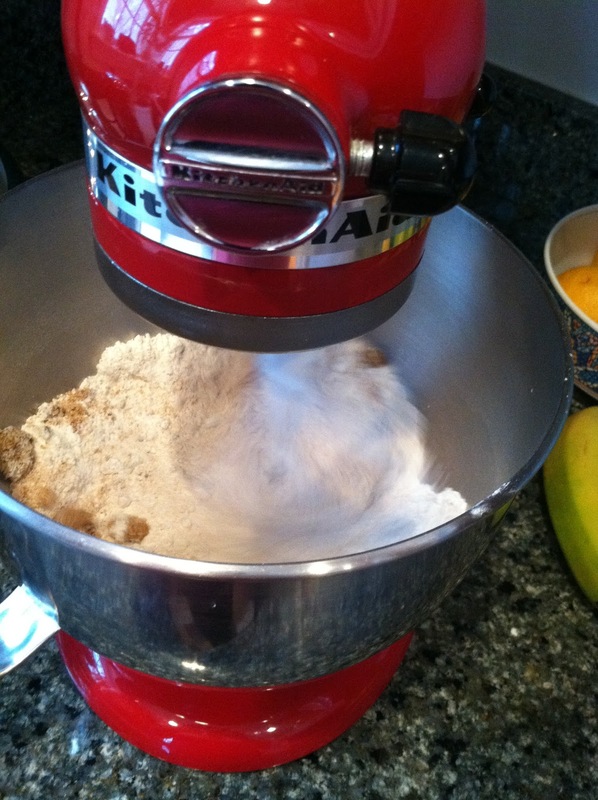 With the mixer on low speed, add the liquid mixture to the dry mixture over 30 seconds. Continue to beat on low speed for another 30 seconds. Stop and scrape down the sides of the bowl. 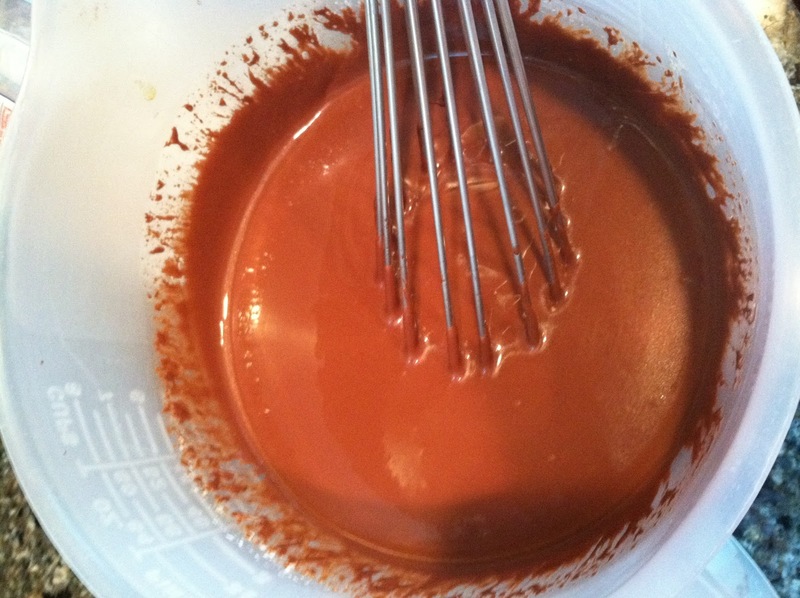 Continue to beat on low speed until the batter is smooth, 10 to 15 seconds. 7. Pour the batter into the prepared pan and bake until the cake springs back when pressed and reaches an internal temperature of 205 degrees F, 30 to 35 minutes. 8. Cool in the pan on a rack for 30 minutes, and then remove cake from the pan and cool completely before frosting, about 1 hour. 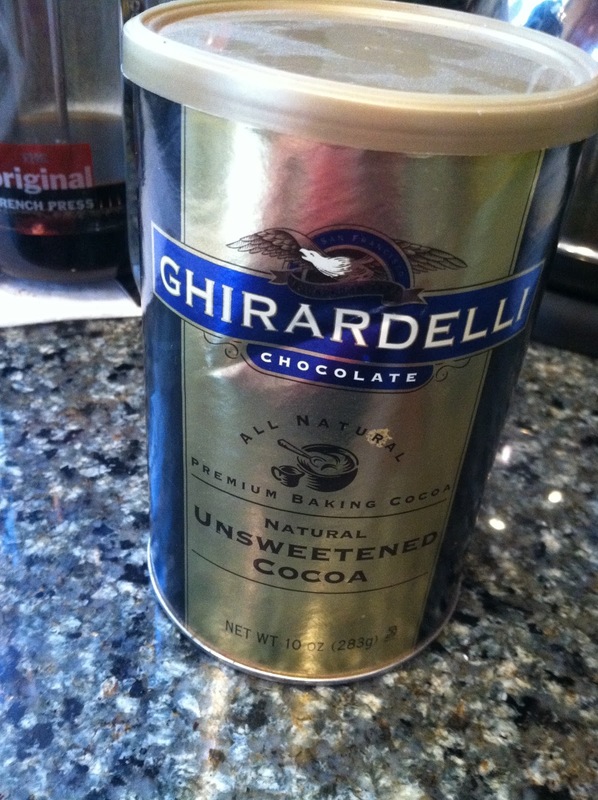 I don’t have a frosting recipe to recommend because I didn’t make a great frosting this time around. I didn’t have enough powdered sugar and was too lazy to buy more, so I ground up some regular sugar in the food processor, which resulted in a crunchy frosting. Not what I was looking for, but my friend (whose husband and daughter were the guests of honor that day) swore up and down it was delicious. Which is why I’m lucky to count her as a friend.